Home sites and magazines are filled with more spice storage solutions than you can shake a stick at. Mason jars, pantry racks, magnetic canisters, even Tic Tac containers-- with so many different ways to organize your favorite flavors, all you need to do is pick one that works best for you and your space. What can be a little more difficult is knowing where is the best place to buy great spices full of flavor. Many spices bought from cheaper companies can include additives-- for example, unless you buy genuine saffron threads (which are the most expensive spice in the world) saffron spice is often mixed with salt, MSG, or other additives. The spices at your local grocery store are both lower quality and more expensive than the spices you can buy elsewhere. By buying quality spices, the flavors are fuller and it takes smaller amounts to get more oomph in your favorite recipes. Here are our recommendations for where you can buy quality spices, and even support local merchants while you are at it. Many fresh and dried herbs and herbal flavored products like infused oils can be purchased at local farmers markets and craft fairs, like the Main Street Market or the Chattanooga Market. These often come organic or with a clear explanation of which, if any, pesticides, herbicides, etc were used on the plants. If you are buying live plants to grow in your garden or window sill, the vendor can also give you expert advice on how to help your plants thrive, and how to store any excess produce. 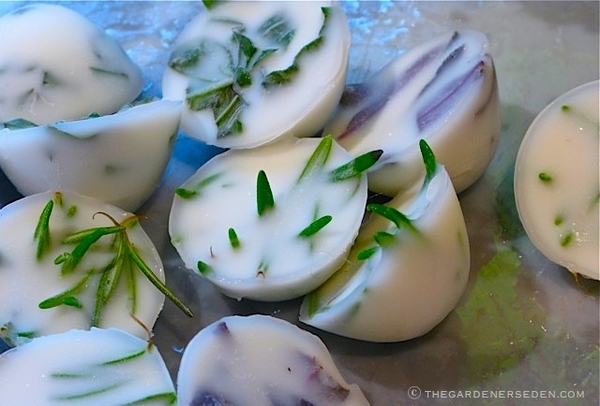 One great way to save fresh herbs for use all winter long without drying is to freeze them in water, olive oil, or broth using ice cube trays. For non-herbal spices, one of the best choices in Chattanooga is the Alchemy Spice Company. It's a local company that focuses on micro batches of spices to ensure maximum freshness upon bottling. They explain on their website that "no other company utilizes our micro-batch self-grinding methodology of production" and compare their approach to the high quality and superior flavor of micro-brewed beers. They go on to note that "every batch of spices is made-to-order, meaning that each bottle of spice that you order is less than two weeks old when it arrives at your home. Like any consumable, spices provide the best flavor and aroma just after grinding, but the spices most people settle for in the grocery store have been sitting in storage for up to 5 years." Alchemy's spices can be purchased at many local partners, including farmers markets as far away as Dalton Georgia, as well as companies like Niedlov's Bakery. Another great, though non-local, option for quality gourmet spices is Penzeys. Penzeys spices can be ordered through catalogue or online as well as in retail locations in major cities throughout the US. Penzeys started out as a small local mom and pop coffee and spice retailer in Wisconsin in the 1950s and has steadily expanded since the 80s to their national scale gourmet spice company. They offer rare and hard to find spices as well as uncommon varieties of more familiar things like peppercorns. Penzeys also has fantastic house blends such as an Herbs de Provence blend that features basic herbs and lavender to create something similar to Italian seasoning but with a really fresh and unique twist. Their Arizona Dream seasoning is also a really great twist on basic taco and fajita seasonings used in Tex Mex and Southwestern cooking.